Instructor in BHAN Department. 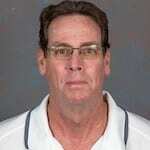 Hired as faculty member, head men’s and women’s swimming coach and aquatic director in 1989. Advisor for the Coaching Science minor. Various university committee memberships (Safety, Building Usage, Development, Alumni Relations, Aquatic Research, Athlete Development, Academic Leadership). Conference (North Atlantic, America East, Colonial Athletic Association) “Coach of the Year” on seven different occasions. Numerous Academic All-Americans in swimming. Certified American Swimming Coaches Association Level 5. American Red Cross WSI and Lifeguarding Instructor for 40 years. Pool Operators Instructor for the State of Delaware since 1995.